Dr. Allison Kenneally is the Director of the Office of Equality, Diversity & Inclusion at the Institute of Technology Carlow, where she has previously held posts as Head of Department of Humanities and Senior Lecturer in Law. Allison holds a Doctorate in Higher Education Management from the University of Bath. Her research focuses on Mergers, Change Management and System Reconfiguration in Higher Education, with a particular focus on the Irish Institute of Technology sector. She is the author of the widely used textbook, ‘An Introduction to the Irish Legal System’ (Clarus Press, 2013). 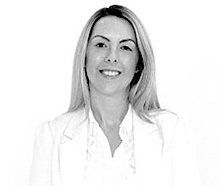 Allison also holds a Masters in Commercial Law from UCD, along with Bachelor Degrees in both Law and Financial Services and a Postgraduate Certificate in Third Level Learning and Teaching. Dr Kenneally held the post of Senior Lecturer in Law in the Department of Humanities from 2007 – 2011. During that time, she delivered a range of modules on both undergraduate and postgraduate programmes, including Contract Law, Family Law and the Irish Legal System. Since 2011, her research interests have focused primarily on Mergers, Change Management and System Reconfiguration in Higher Education, with a particular focus on the Irish Institute of Technology sector. She also has a keen interest in the Irish Legislative Framework for Higher Education and Equality, Diversity and Inclusion in the sector. Kenneally & Tully, 2013, The Irish Legal System. Clarus Press, Dublin. ‘The Politics of Merger: Perspectives from the Irish Institute of Technology Sector’ The European Higher Education Society 40th Annual Forum, Budapest, Hungary, August 2018. ‘Transforming the Irish Higher Education System through Merger & the Creation of Technological Universities’ Higher Education in Transformation Conference, Ontario, Canada, November 2016. ‘Facilitatory, Inhibitory & Critical Success Factors for Merger in Higher Education’ IMPACT Conference on Mergers in Higher Education, 12th February 2016. Academic lead for IT Carlow’s Wexford Campus on the EU INTERREG funded ‘Coracle’ Research Project including liaison with partners, managing budget, new programme development, etc.